A particularly spacious 3 bedroom semi detached bay fronted house, situated in an elevated position with a large rear garden. THE PROPERTY IS VACANT AND REQUIRES COMPLETE MODERNISATION. There is ample space to extend to the rear or into the loft space, similar to neighbouring properties. Situated in an established residential road within 0.7 mile of 2 primary schools and St Pauls Catholic College. Burgess Hill railway station is within 1.2 miles. The accommodation includes an entrance hall with stairs to the first floor and a downstairs cloak/shower room. 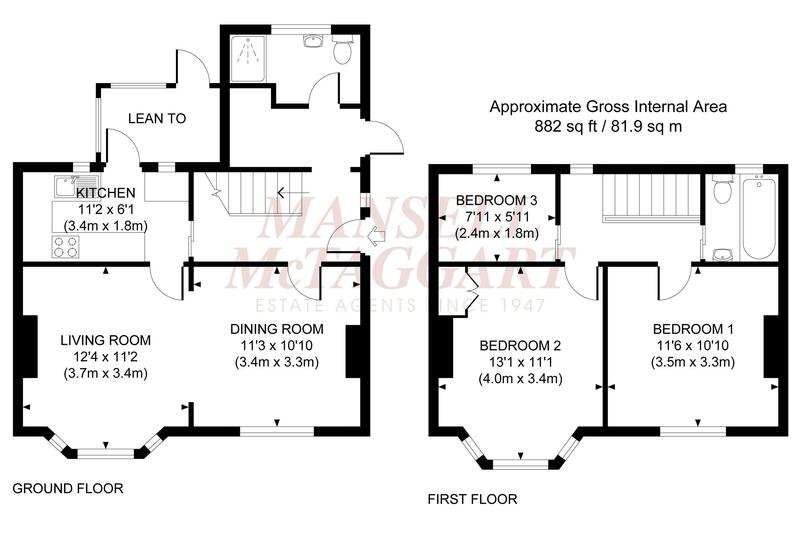 There is a kitchen facing the rear and opening to a lean to, a bay fronted dining room and a wide archway to the living room. Outside, a block paved hardstanding provides parking with a side gate to the large east facing 100’ x 25’ rear garden which is mainly laid to lawn with an area of patio and fruit trees. PULL OUT QUOTE: A wonderful opportunity to acquire a substantial 3 bedroom home requiring complete modernisation. Burgess Hill is surrounded by picturesque countryside and historic landmarks; offering plenty of local amenities; with great connections via road, rail and air. The town centre offers a variety of shops, cafés and restaurants; there is a local cinema, playgrounds and parkland, sporting facilities including the popular Triangle Leisure Centre and clubs for anything from bowls to yoga. For families looking to move, Burgess Hill is an ideal choice with good schools, plenty of outside space and activities to keep families of all ages entertained. Well Connected There is so much within easy reach, from the city of Brighton, to historical Lewes, to the far reaching South Downs. Easy access to London and Brighton ensures family days out are popular and commuters are well catered for. There are frequent trains from Wivelsfield and Burgess Hill to London Gatwick, London Victoria, London Bridge, London St Pancras International and Brighton and it is just a short drive to access the A23 at Hickstead, from which it is a short drive to Brighton or north to Pease Pottage to pick up the M23 for the M25. Schools: The Gattons Infant School 0.6 mile & Southway Junior School 0.7 mile. Sheddingdean Primary School 0.7 mile. St Pauls Catholic College 0.7 mile. The Burgess Hill Academy 1.1 miles. N.B Please note that catchment areas need to be confirmed. Stations: Wivelsfield Mainline Railway Station (London Victoria/London Bridge approximately 54 minutes & Brighton 20 minutes) 1.2 miles.